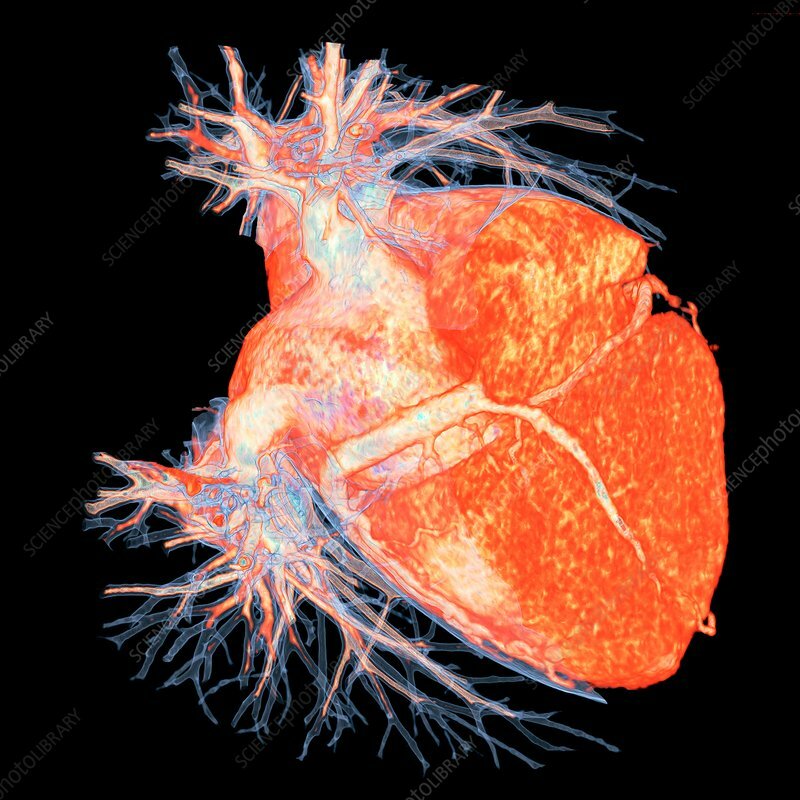 Human heart, 3D coloured computed tomography (CT) scan. The heart is a hollow muscular organ that receives and pumps blood from and around the body through the veins and arteries that branch out from its four internal chambers. The external area includes the coronary arteries and veins that supply blood to the heart muscle. This view includes the cardinal veins of the neck.